Football has been pivotal to the last 100 years of history and players from all areas of the globe have become heroes, villains and even symbols of national identity in the process. Without further ado - here is The Football History Boys - Top 100. Jose Mourinho: "I think he is immortal. 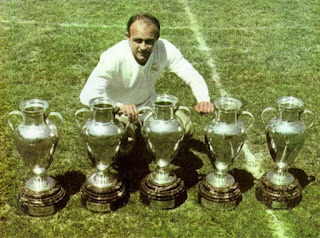 We all know what he meant for football and especially for Portuguese football. He was not only a great inspiration but also an important figure in upholding the values, principles and feelings of football, even after finishing his career." 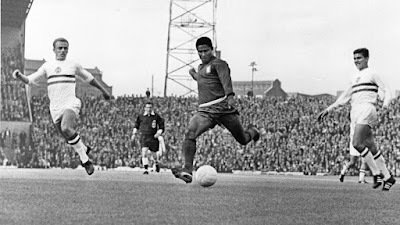 The Guardian: "Eusébio was the greatest African footballer in the history of the game. He moved from his native Mozambique to the Portuguese club Benfica in 1961, blazing a trail from poverty to stardom that scores of young African footballers would follow, though none since has played with such grace or reached the benchmark he set. His scoring record was astonishing. In 15 years at Benfica he scored an incredible 473 goals in 440 competitive games." Jonathan Stevenson - BBC "At first sight, he looked like he would barely be able to walk. With his right leg pointing inwards and his left leg pointing outwards, Manuel Fransisco dos Santos seemed more destined to end up in a circus than on a football field. But put a ball at his feet, and the man they called Garrincha - the little bird - could just about do anything." 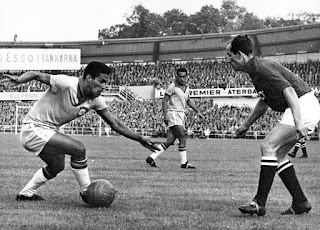 Football Whispers: "By the time he signed for Botafogo, Garrincha was years behind in social development than his peers, while also being totally sheltered and largely ignorant of the ‘real world’. He was a boy in a man’s body but a boy with an immense talent with a football. 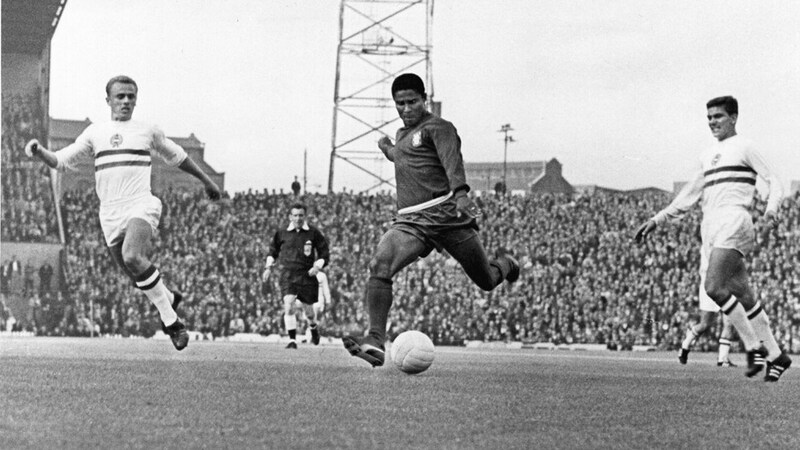 He would end up playing over 600 games for the club and scoring close to 250 goals and within nine years of his professional debut Garrincha had become a double World Cup winner and one of only three players in history to win the Golden Ball and Golden Boot at a World Cup. Like all geniuses Garrincha had a simple view of the game that made it an enjoyable pursuit rather than a sport or a job. Like a child in the playground he played because he loved football and wanted to entertain others rather than to win and not allowing his physical disabilities to hold him back. 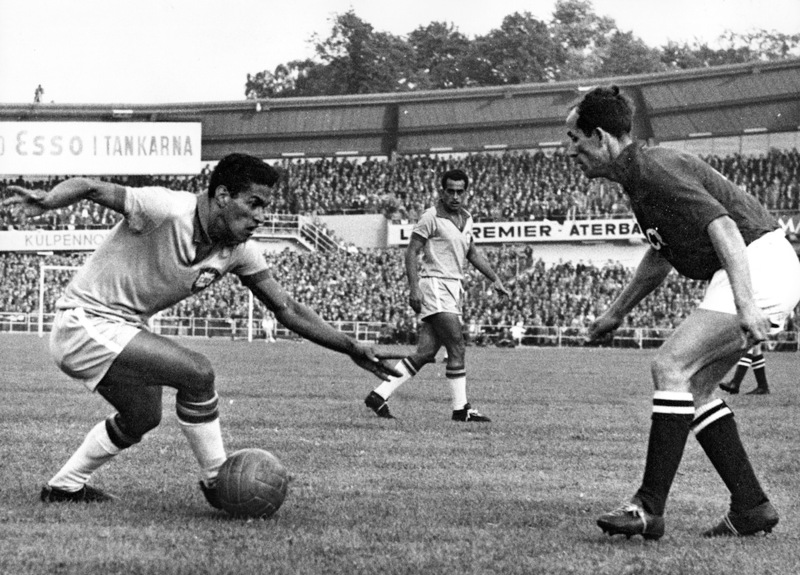 Garrincha instead used them to his advantage utilizing the bend of his legs to trick defenders." Jonathan Wilson - The Guardian: "For me he stands alongside Johan Cruyff as one of the two greatest European players of all time. It is not just his technical ability. Other players have had that. It is not even the fact that he had key parts in two of the most celebrated games ever played on British soil - Hungary's 6-3 victory over England at Wembley in 1953 and Real Madrid's 7-3 victory over Eintracht Frankfurt in 1960. It is the fact that that ability was allied to a brain that understood how best to use his ability for the team. That is why his nickname, the 'Galloping Major', was so appropriate - even if he hardly galloped and, at the time it was bestowed, was only a lieutenant - because he was so good at marshalling his side towards a common goal." Gareth - TFHB: "Ferenc Puskas, a player who is absolutely loved by TFHB! Read about The Galloping Major here and his team, the Mighty Magyars here. Now obviously all we can do is watch footage of the genius, having never seen him play live, but it is safe to say he is without doubt one of the greatest footballers to have ever lived. His Honved side dominated Hungarian club football before he moved on to Real Madrid, where he won three European Cups and five Spanish titles. 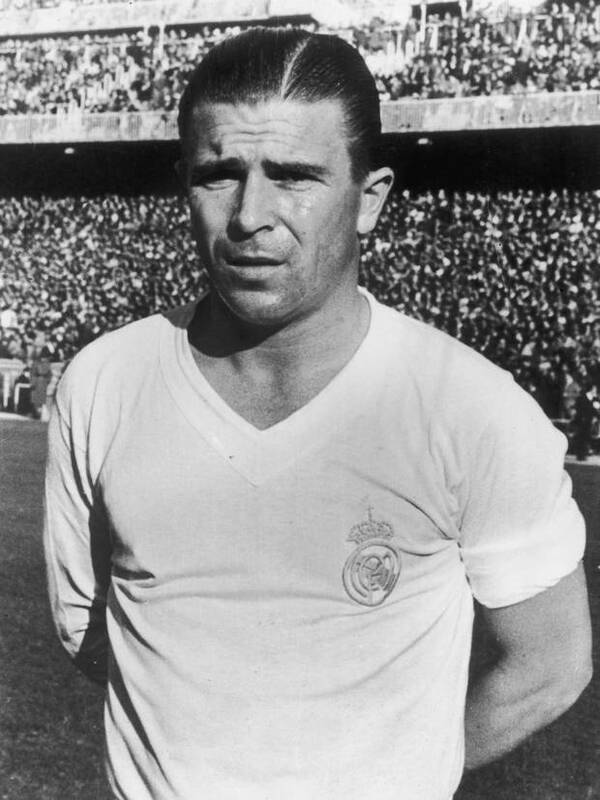 Puskas' goalscoring ability saw him win the Pichichi Trophy (La Liga Top Goalscorer) on four occasions, becoming a truly global icon during the 50s and 60s. It was to be with his national side, Hungary, that he would tear the world apart. The Mighty Magyars stormed Europe, losing in the 1954 World Cup final, against all the odds. 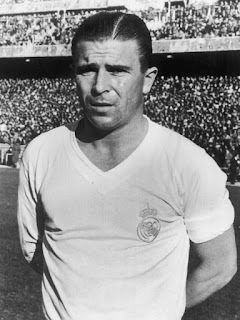 Puskas was a driving force for that team, scoring 84 times in 85 caps. He now even has FIFA's best goal of the year award named after him!" Real Madrid Website: "The best player in the history of Real Madrid. He could attack, defend and play well everywhere. 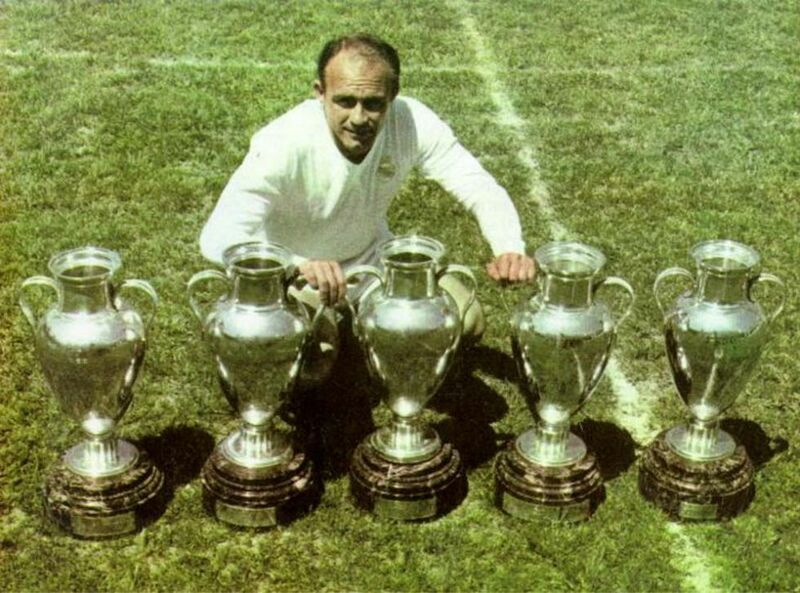 He was a leader on and off the pitch and with him the Whites reached the peak of their football glory: the as yet unrepeatable feat of winning five consecutive European Cups which amazed the international football world... Real Madrid absolutely dominated Spanish and European football at the time and their game revolved around the majestic figure of Alfredo di Stéfano." Former UEFA President Michel Platini: "He won everyone's hearts with his brilliance as part of the legendary Real Madrid team. Together with his gifted teammates, he helped invent modern football. He embodied all that is magical about football." His ability to bounce back is somewhat akin to a comic book villain, who just refuses to give up no matter how many times he’s foiled by his opposition. (The difference is Maldini won it all, while Victor von Doom and the rest tend to come off second best more often than not.) The point is, he never wavered despite the lean times, and he rolled back the years to claim the last of his Champions League titles a full decade after the previous win." The Guardian: "The man has always done things with irresistible, understated charm and that is the real legacy of Maldini. The statistics only tell part of the story. They don't tell you anything about the elegance and gallantry with which he played. All the negative stereotypes of Italian defensive arts – niggling and pinching and sly shirt tugging – were unnecessary for Maldini. 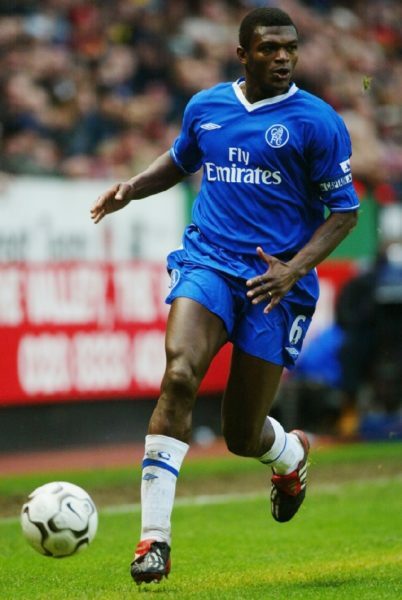 Probably the best left-back ever created played purely as well as powerfully. He has so much going for him it is hard to know if he is more adored by the men or women of Italy. 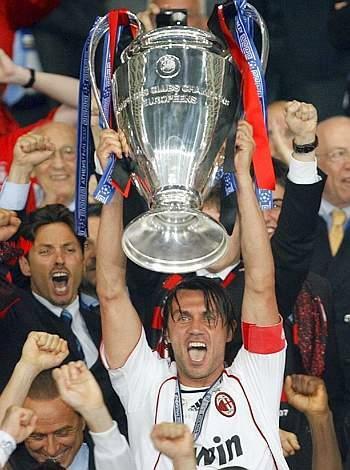 But Maldini has never been big-headed. Always professional. His reaction to his landmark 1,000th game (a 0–0 draw at Parma) said it all: "These are numbers which will remain in history – too bad we did not get the three points."" Keep tuned in to find out the next 10 in the #TFHB100 shortlist! Check out our judges' websites! !